...last spring, when I was on television show, You and Me Chicago. Remember one of the trends that I mentioned? 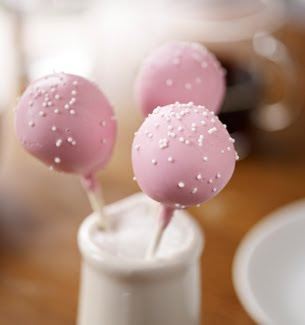 Cake Balls. Starbucks is selling them under the name Cake Pops. They are delicious and so much more fun that cupcakes. I was recently at an event that had truffle pops! Got to love sweets on a stick! I have a inquiry for the webmaster/admin here at honeybeeweddings.blogspot.com.